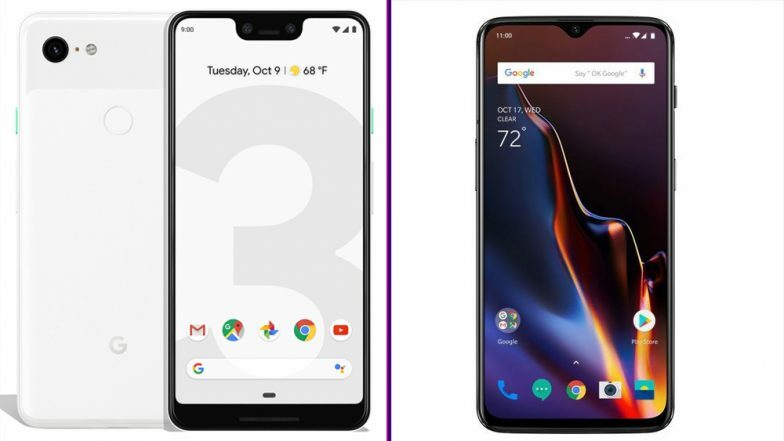 San Francisco, April 11: Google Pixel and OnePlus smartphones are catching up and giving stiff competition to Samsung in the US as over one-third of users who bought the Pixel 3 and the OnePlus 6T during the fourth quarter (Q4) of 2018 previously owned Samsung, said a new report by Counterpoint Research. According to Counterpoint's "US Smartphone Churn Tracker", less than one in five people who bought either device was a previous Apple user. Google Pay in Trouble? HC Questions RBI & Google India For Alleged Unauthorised Google Pay Operation. "The Pixel was built to lead Android innovation and be a device to sway the iOS base over to Android. Over 80 per cent of volumes are coming from its Android partners," Fieldhack added. Google Marks Commencement of 2019 General Elections with Doodle. A total of 31 per cent of Pixel 3 sales came from previous Samsung Galaxy S7 owners. "Both the Pixel and 6T devices show that there is room to innovate in the market. While Samsung and Apple are dwarfing others in size, marketing spends, and consumer perception, there are pockets of users that are still interested in alternatives," Fieldhack noted.